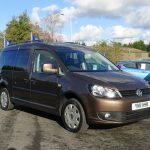 A lovely toffee brown VW Caddy wheelchair accessible vehicle – a treat to drive and has everything to ensure that any wheelchair user is safe, secure and comfortable when travelling around. 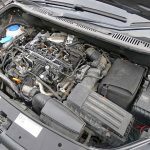 The 1.6 cc diesel engine makes this car economical to use and with plenty of go. 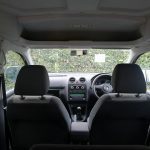 The vehicle delivers in many ways as it not only handles really well, but offers many features designed to make the whole driver and passenger travelling experience enjoyable too. 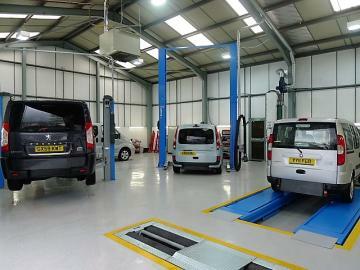 Please check out the specification section included on this website for a full list. 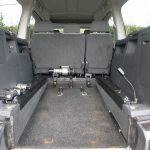 The conversion is by Versa and the vehicle adapted with a lowered (carpeted) floor and a two piece, lightweight ramp that is very easy to use so getting a wheelchair (or scooter) in and out of the back is nice and straight forward. 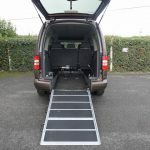 The inertia wheelchair restraint system ensures that when pushing a wheelchair up the ramp and onto the wheelchair location, there is no roll back to worry about – a great safety feature to have providing peace of mind to all concerned. 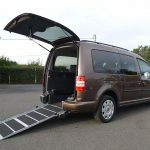 However, if you are a carer that struggles to push a wheelchair up any inclines, or has a particularly heavy wheelchair to manage, then this vehicle has a winch fitted taking the effort away and a must have for some. 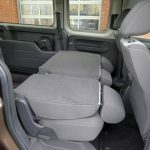 The three back seats are also very versatile and can fold down creating more space for the wheelchair user to enjoy (see pictures included). 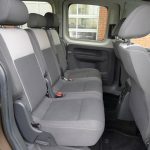 A great car for family use also due to the number of seats as the vehicle can easily accommodate up to 6 passengers including the wheelchair user. 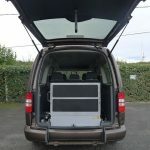 Plenty of storage areas including an overhead shelf in the front – ideal for placing items out of sight and for keeping the vehicle nice and tidy when out and about. 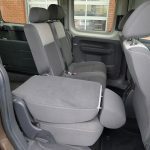 If the wheelchair user prefers to have more privacy, this WAV has the benefit of rear privacy glass in the rear – a preference for some customers. A fab car to own. 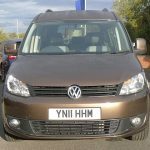 All of our quality vehicles come with 12 months MOT, 12 months warranty and are serviced and valeted in our very own state-of-the-art Service Department (see inset) before being delivered to their new owners’ doorstep – it couldn’t be easier!